The KATABA table is easy to install. 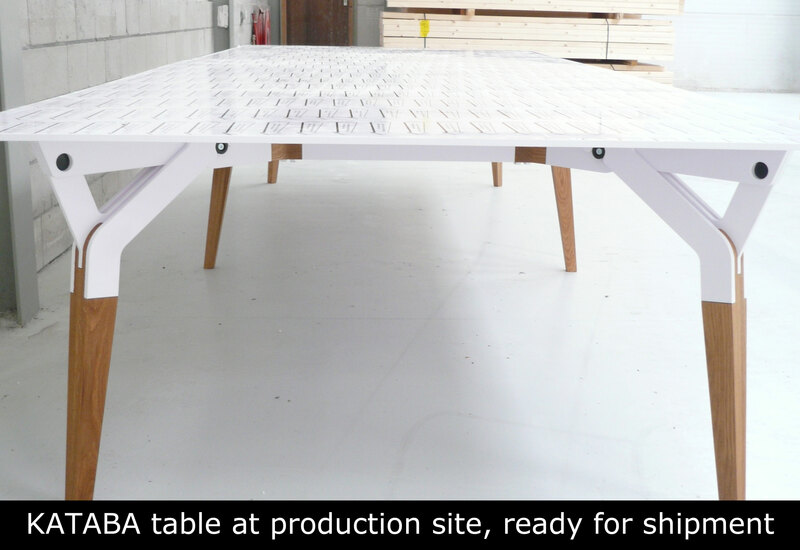 The table arrives as a convenient package and is build up with no additional tools within seconds! 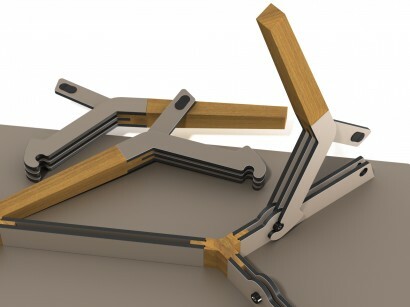 Attachment of the legs through an ingenious snap-mechanism. Press the buttons with two fingers and release the table leg.